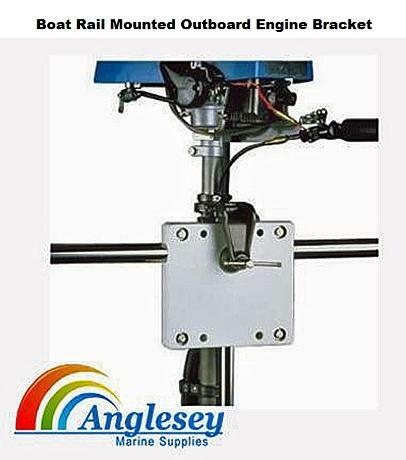 Anglesey Marine and Boat Supplies for all outboard brackets for supporting all boat outboard back up engines. 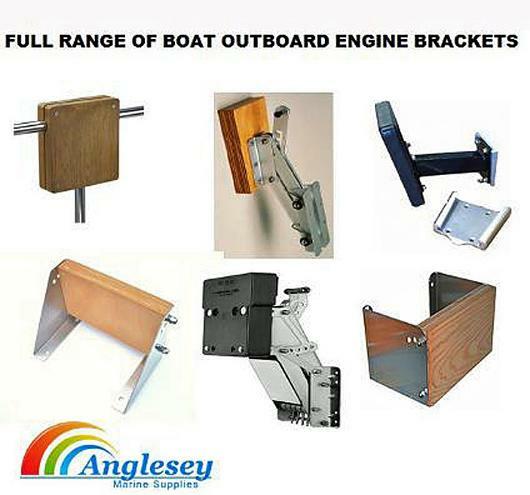 Different types of outboard brackets available to suit different needs. 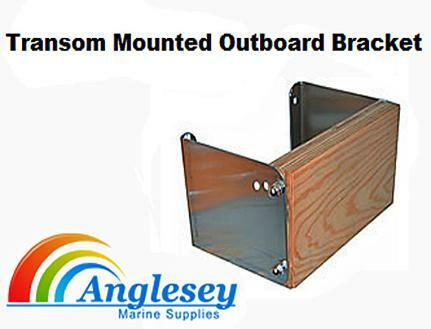 We supply the economy standard fixed auxiliary outboard engine brackets for boats with adequate transom space. Seagull bracket with sliding shoe to enable outboard engine removal a popular outboard bracket. 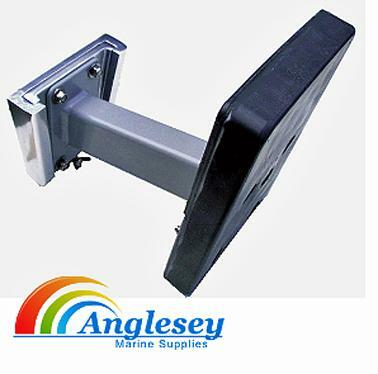 Adjustable stainless steel and aluminium outboard brackets also supplies as well as platform mounting and rail, pulpit mounting outboard brackets, Anglesey Marine Supplies For Quality Outboard Engine Brackets. Buy direct from your online Anglesey Chandeliers. 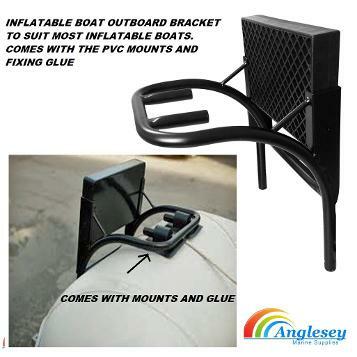 Outboard bracket to fit most inflatable boats. The inflatable boat engine bracket is designed to take up to 6hp outboard engine. Come complete with pvc mounting cups and pvc glue. 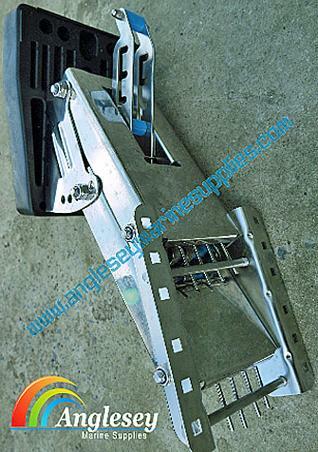 Quality outboard motor engine bracket stainless steel construction. The outboard motor bracket will take all outboard engines up to 10hp. Boat back up galvanized outboard engine bracket, manufactured using galvanized box section and pre-drilled with 4 holes for fixing to transom. 40mm thickness laminated marine plywood outboard engine pad, yacht The galvanized outboard engine bracket is yacht varnished for maximum protection against the elements. Fastened on with stainless steel bolts. Standard fixed outboard Engine bracket. 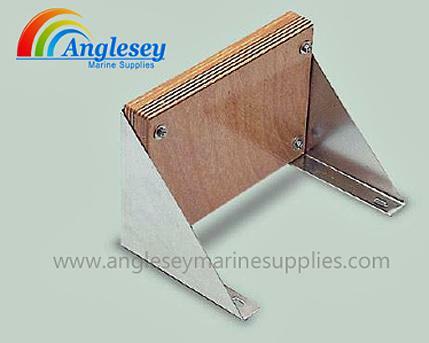 Salt water resistant coated bracket arm fitted with marine grade laminated hardwood pad. Will take outboard engines up to 10hp 2 stroke. to the outboard Engine bracket above but with Anodized sliding shoe. The Seagull removable outboard engine bracket enables you to easily remove the bracket when not in use, or for security reasons. Also useful on sailing boats. Will take engines up to 10hp. A popular outboard bracket. Our Seagull removable outboard engine bracket. Stainless steel Outboard bracket with plastic engine pad. Will take boat engines up to 7hp 2 stroke. Uses 4 bolts to attach to boat transom. 2 position adjustment. A quality stainless steel outboard engine bracket. 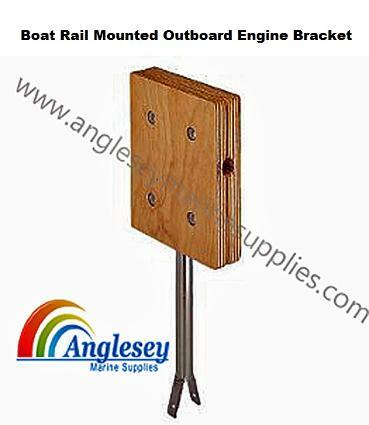 Aluminium outboard engine bracket with marine grade plywood outboard engine fixing pad. Will take up to a 15hp outboard motor. Has 4 positions of adjustment. 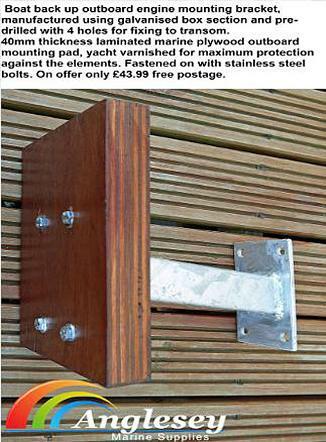 A quality aluminium outboard engine bracket. 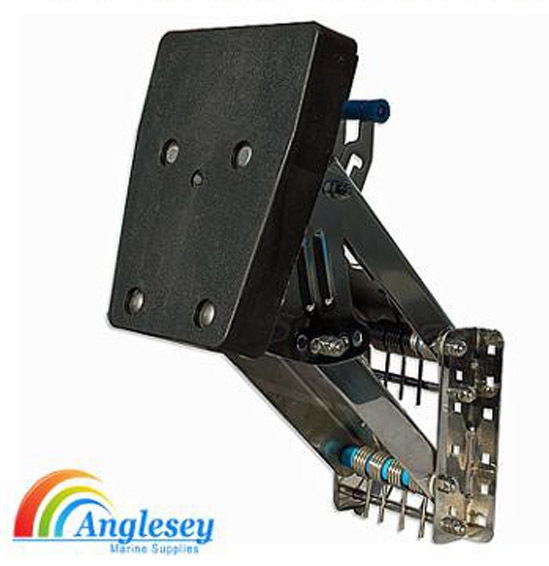 A lightweight compact stainless steel outboard engine bracket, heavy duty and capable of carrying outboard engines up to 25hp. 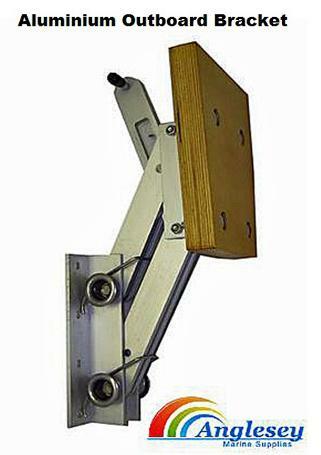 The heavy duty outboard engine bracket is manufactured from stainless steel and is also fitted with a marine ply pad. A low cost yet strong outboard engine bracket. The outboard bracket has 4 height positions. 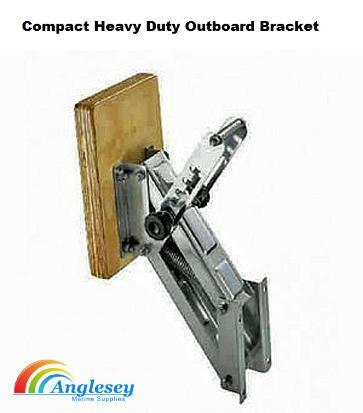 Heavy duty outboard engine bracket, A very heavy duty outboard engine bracket. Capable of carrying outboard engines up to 25hp. The heavy duty outboard engine bracket as 5 angles of tilt for optimum positioning. The outboard engine bracket is manufactured from 316 stainless steel for corrosion resistance. The outboard bracket as twelve bolt fastening plate for added security. Heavy duty Stainless steel outboard engine bracket. Has 5 angles of adjustment for optimium positioning of outboard engine. 12 bolt holes for secure positioning. Rated to take up to 25hp outboard motor engines. 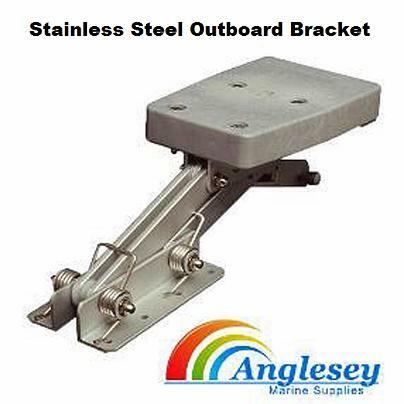 A quality stainless steel heavy duty outboard engine bracket. 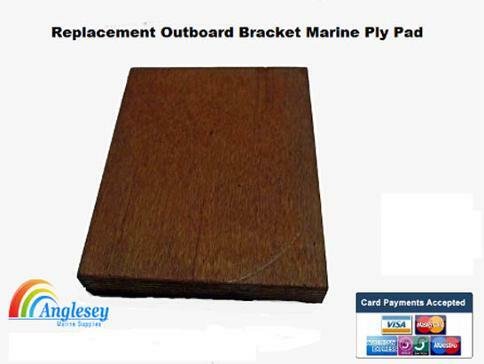 Outboard engine bracket marine ply pad, manufactured from European marine plywood. The dimensions of the marine plywood replacement pad are 11" x 7" x 1.5". The outboard bracket replacement pad is also treated for extra protection. Fits all outboard engine brackets. Outboard engine bracket Transom mounted with laminated wooden pad to mount on transoms, will take outboard engines motors up to 12hp 2 stroke. Attach to the transom via 4 bolts. Platform Mounted Outboard engine bracket with marine grade wooden mounting pad. Designed to fit onto the stern platform and accommodate the outboard engine motor. Will take an outboard engine up to 9hp 2 stroke. outboard engine bracket boat rail mounted. Will fix onto 22mm-25mm tubing. 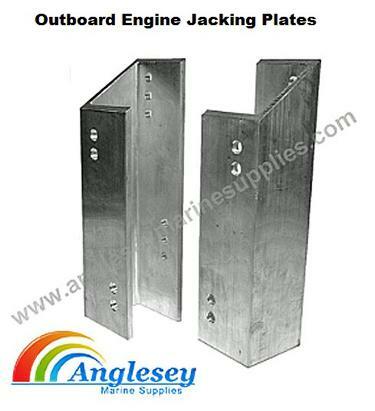 The boat rail mounted outboard engine bracket Fixing pad is manufactured from marine grade plywood and is supplied with a marine grade stainless steel tube base. 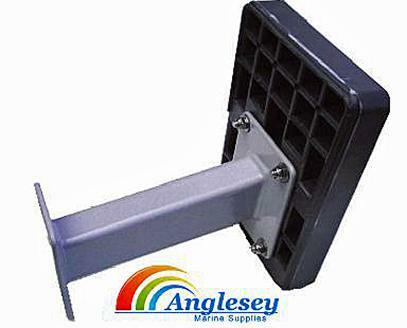 Outboard engine bracket mounting bracket pad size is 210mm x 260mm. The outboard engine bracket Will take up to 8 hp 2 stroke outboard engine. Boat Rail mounted outboard engine bracket, The outboard engine bracket will mount on boat rails from 22mm to 25mm tubing. Pad is manufactured from marine grade plywood and is supplied with a stainless steel tubular base. The pad size is 210mm x 260mm. Will carry up to 8hp 2 stroke or 3hp 4 stroke outboard engine. Outboard engine safety lanyard. A useful and recommended item to attach to your outboard engine when using an outboard engine bracket of any sort. 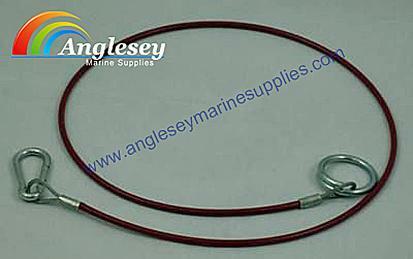 The outboard engine safety lanyard is an inexpensive item that will prevent loss of engine. Outboard engine jack plate, manufactured from aluminium, 4" setback, 3" height. Max outboard engine weight of 150lbs. 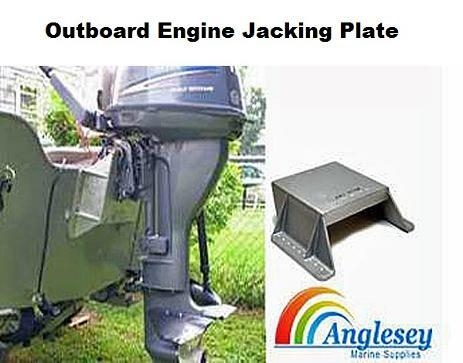 The jacking plate is an inexpensive solution when changing from a shortshaft outboard engine to a longshaft outboard engine. 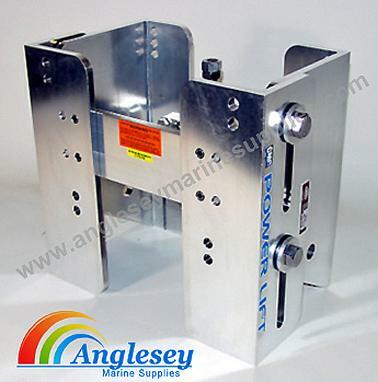 Hydraulic outboard engine jack plate, high speed power lift to raise and lower all outboards up to 300hp. The hydraulic actuator is self contained with its own fluid reservoir. Manufactured from aluminium extrusion and marine grade 316 stainless steel fasteners. 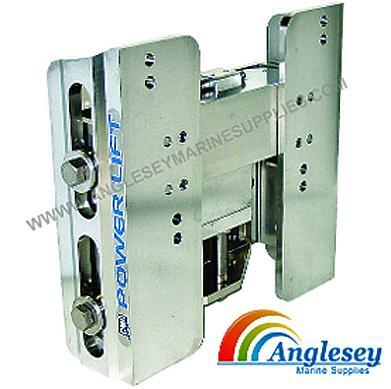 The transom hydraulic outboard engine jack plate lift has a vertical lift of 5" and is set off the transom by 5.5"
Manual outboard engine jack plate manufactured by CMC Powerlift using extruded aluminium alloy with stainless steel 316 marine grade fittings. Centrally located adjustment screw to adjust height even when engine is in place. Has a vertical lift of 5" and 5.5" set back from the transom. Rated to V8. 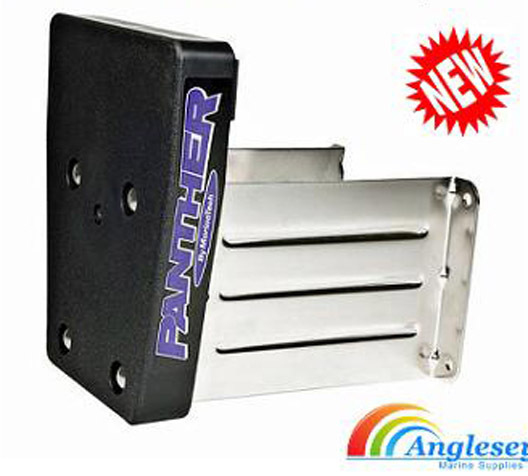 The economy outboard engine jacking plates bracket are made from 3/8" thick alloy extrusion and provides an inexpensive solution to mount a long shaft outboard engine to a short transom. Also can be used as a fixed jack plate for boat engines up to 150hp. Allows 5 1/2" of lift and 4" of stand off from the boat transom. 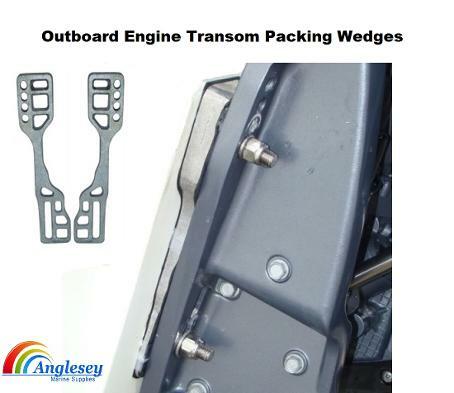 Cast aluminium boat Outboard Engine transom wedges Packers Will add an extra 5 percent of tuck to the transom angle. Will fit all standard four bolt patterned outboard engine. 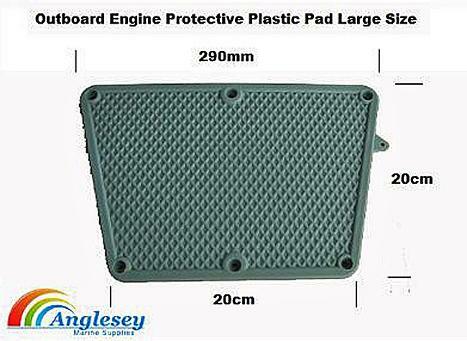 Small size outboard engine protective transom pad, manufactured from non slip plastic. Prevents outboard engine toggle clamps from damaging the boat. 255mm long and 86mm wide. Outboard engine protective transom pad large size. 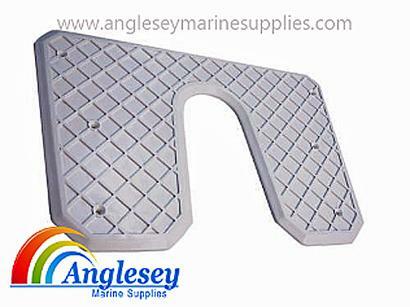 Outer measurements of the outboard engine protective transom pad are 290mm long side, 200mm short side and depth. Used to protect the boat transom against wear from outboard engine toggle clamps and also act as a cushion to absorb vibration from the outboard engine.